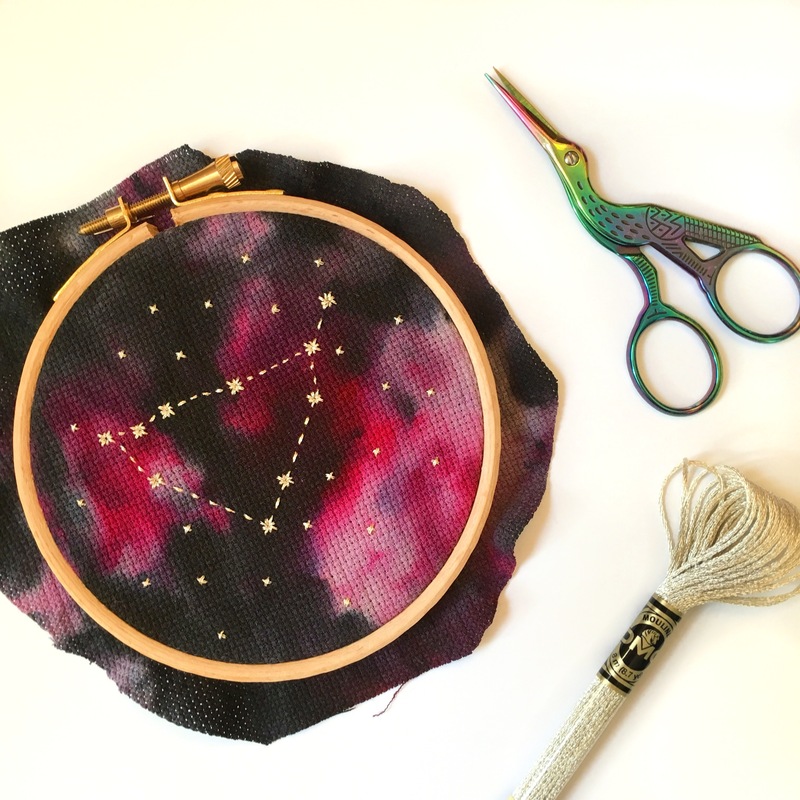 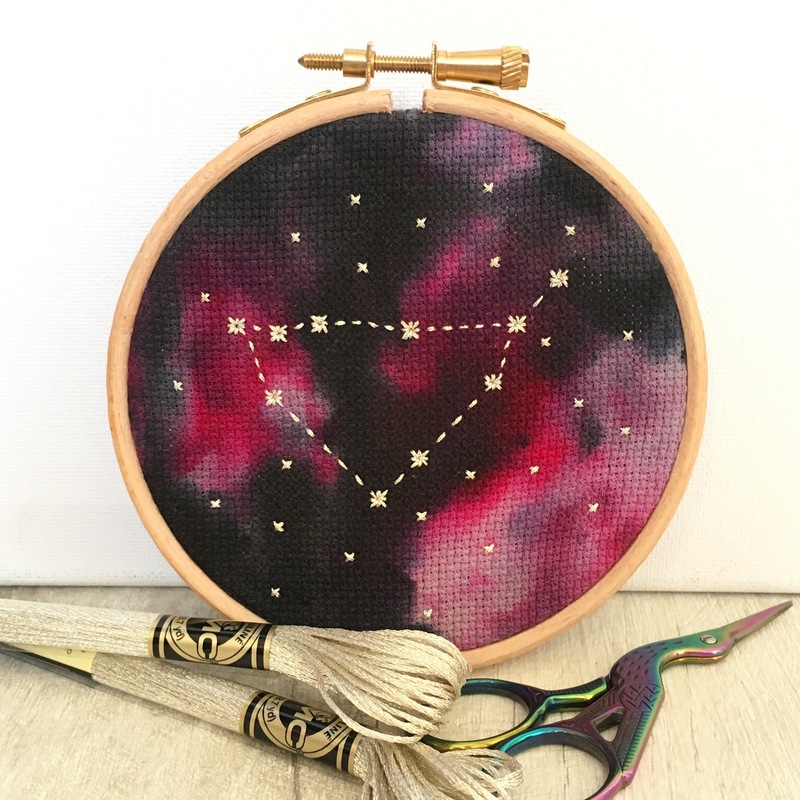 A luxurious Star Sign Constellation Cross Stitch Kit made with unique, hand dyed, galaxy fabric. 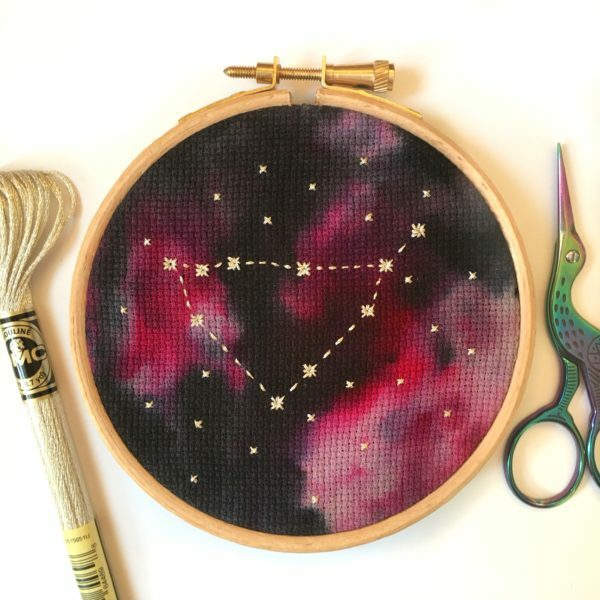 This kit would make a lovely gift for a friend or loved one’s birthday. 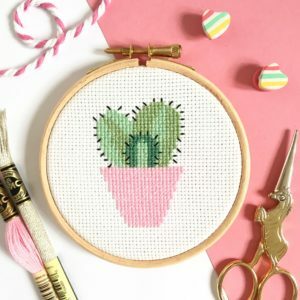 You can stitch it yourself for a thoughtful, handmade gift or give it to them to stitch themselves. 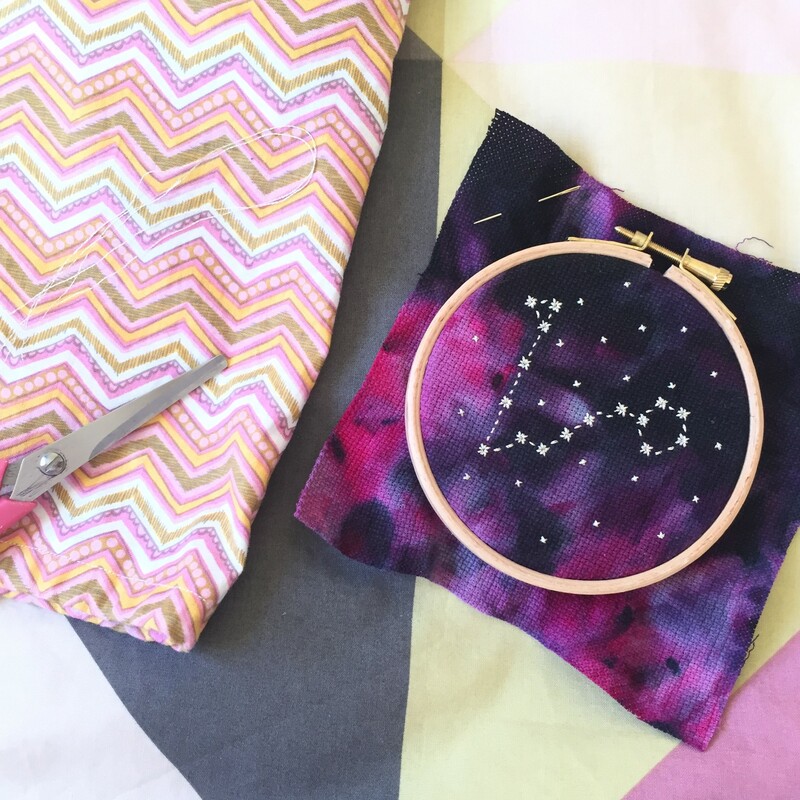 Your box contains all the materials you need to make your own 4 inch hoop. There is a little back stitching on this pattern but the detailed instructions will help you through it. 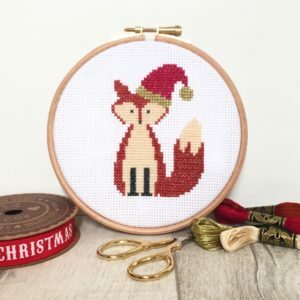 This kit includes Light Effects thread (the metallic, sparkly one) which can be quite tricky to get the hang of stitching with if you are a complete beginner to cross stitch. 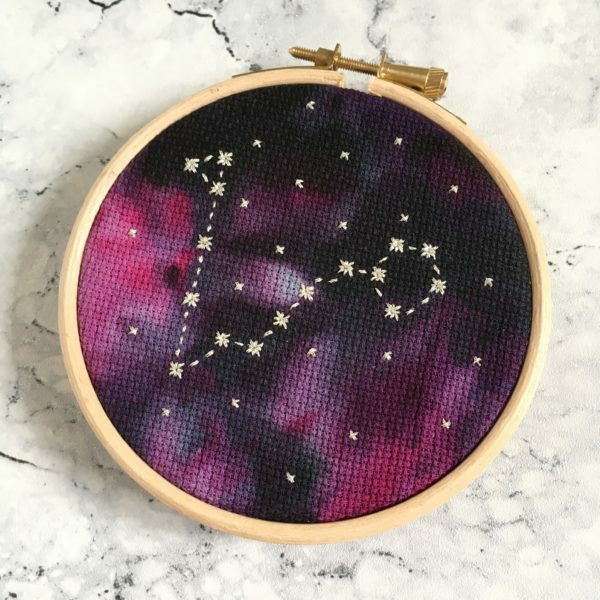 But don’t worry! 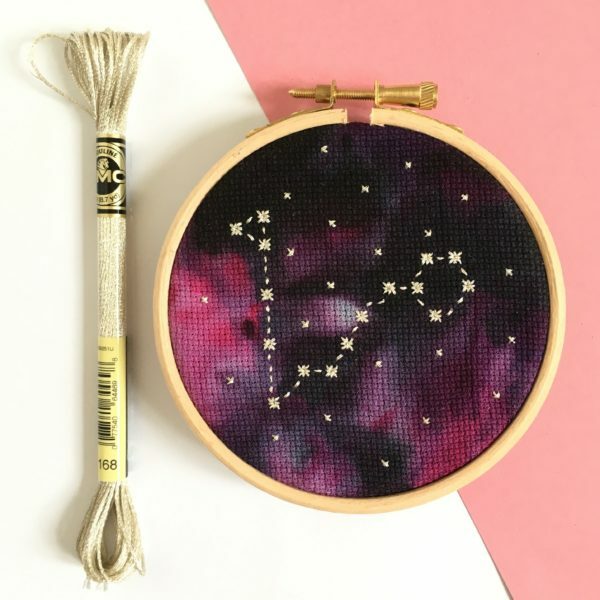 I include cotton thread as well so you can choose which you would prefer to stitch with. And I have a podcast episode and blog post with some hints and tips about stitching with it. Or you can watch me stitching this hoop myself for help with the whole kit. 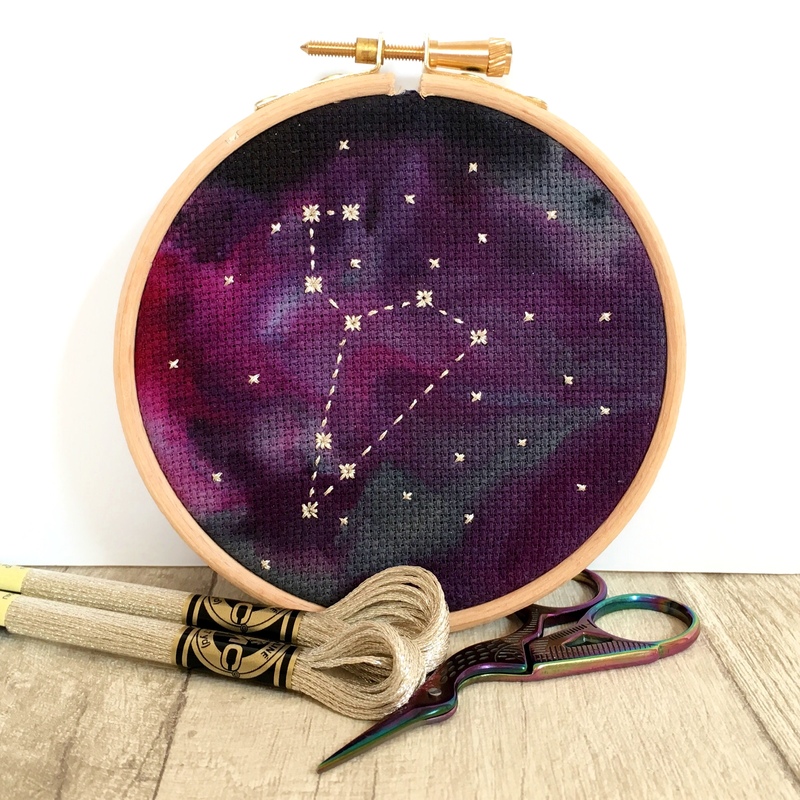 Your kit comes with all the materials you need to stitch your hoop but you can buy extras such as cotton bags, scissors and needle minders from our supplies section.